Home / THOUGHT LEADERSHIP / Customer LTV: What is it and Why Can’t Google Analytics Offer it? Not all customers offer the same level of value to your business. Some may purchase once, never to return to your site again. Others will purchase intermittently, but only if prompted with an ad. Still others may be quite loyal, returning to your site regularly to purchase. Now, you might be inclined to say, a sale is a sale, and in that respect, all sales deliver equal value. But it is rare for consumers to find your site and make purchases without any effort (read: expense) on your part. In all likelihood they arrive on your site as a result of a Google Adwords, Facebook, display or affiliate campaigns you run. Since it costs you real money to attract visitors to your site, it makes sense to hone in on customers who are most likely to return to your site regularly. In other words, you’ll want to focus on customers who offer the highest lifetime value (LTV) to your business. 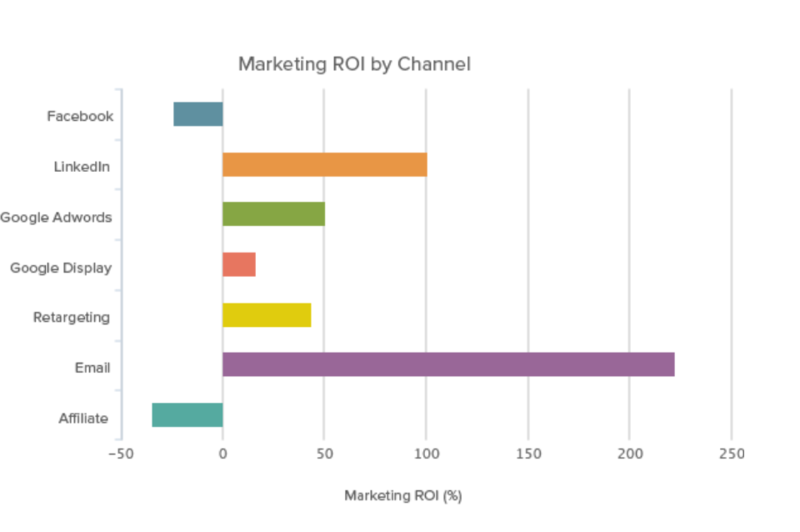 You can use your LTV to drive ROI in your marketing initiatives. Take Google Adwords as an example. Google offers a bidding option that lets you target by the cost of acquisition. If you know the amount of revenue a consumer will deliver over his or her lifetime, then you can calculate how much you can afford to pay for that consumer and still be profitable. 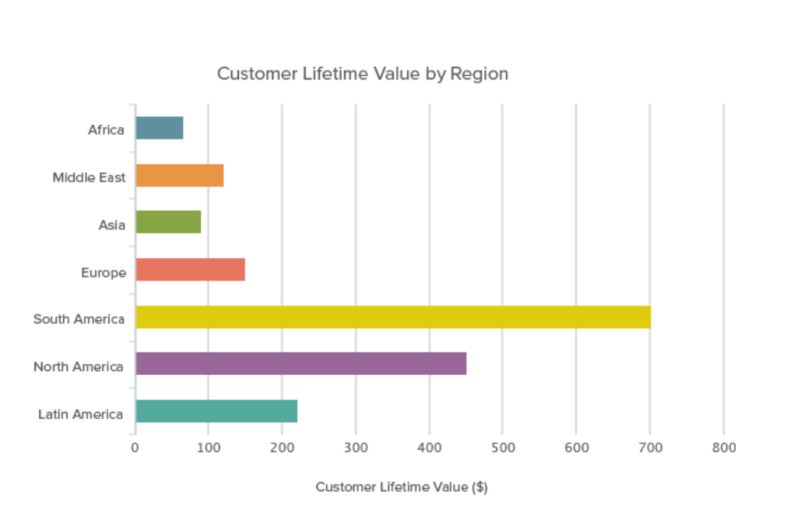 So what is lifetime value exactly? It is the projected revenue a particular customer will generate for your business over the course of their lifetime. Calculating LTV requires you to pull together a set of variables and constants — KPIs that are specific to your business. Once you have those two datasets in hand, you can calculate your LTV in multiple ways, which Kissmetrics shows nicely in this Starbucks case study infographic. There are several challenges to calculating LTV with Google Analytics. The first is that Google Analytics doesn’t tie specific data to specific customers, which means you can’t create customer segments very easily. In other words, you can’t identify customers who come to your site X number of times during a purchase cycle, and tie those visits to purchase frequency and purchase value. That means you will have little choice but to organize the data manually so that you can identify all of the constants and variables (see above) you’ll need to calculate your LTV. This is inherently a time-consuming and error-prone process. And it requires a lot of guesswork on your part. These challenges are compounded in that LTV can be iterative, as new competitors enter or leave the market, making customers more (or less) loyal to your store. But there’s good news to merchants with a Magento store: Magento BI makes quick work of calculating your LTV, because all of the data and insight you need for variables and constants are already in the platform (which means it’s also error free). Getting your LTV is simply a matter of setting up your dashboard correctly. Need more information? Check out Magento’s webinars on calculating LTV with its BI tool.